For the Jesuits worldwide, the General Congregation is a marvelous opportunity to invite our friends, collaborators and families to experience their belonging to an apostolic body for mission. For this reason, a number of our initiatives are geared towards our friends, our collaborators and the broad Ignatian family all around the world. Prayer is a good path for such an experience. In different places, initiatives for praying with the General Congregation have been blooming to support through prayer the union of minds and hearts. 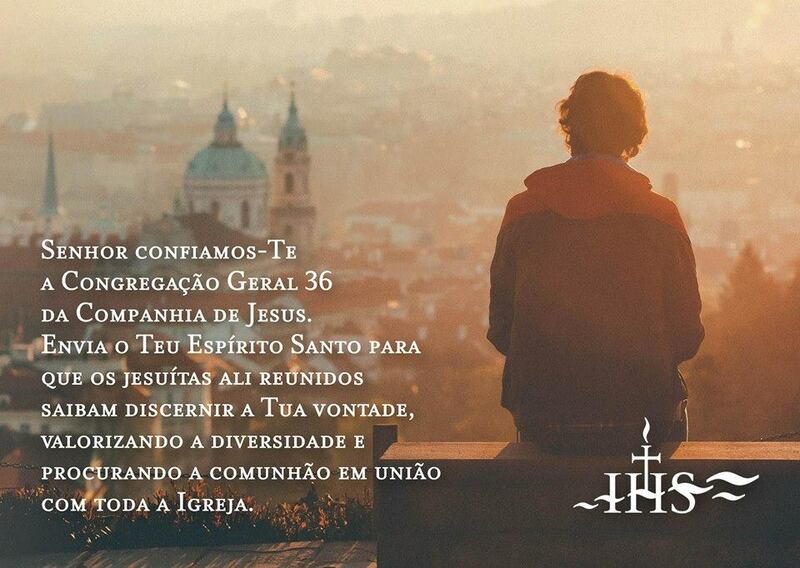 One of the most innovative ones is the initiative of the Portuguese Province of the Society of Jesus, which has launched an invitation for all those who want to pray for GC36 through email and social networks. All what is needed is for those who want to pray with and for GC36 just to comment a post on the official Province Facebook page saying “I want to Pray” or send an email with the subject “I want to pray”. Through the reply, each person receives the name of one of the Jesuits present in the congregation. This would be the person for whom they are specifically invited to pray. Up to now, this network has brought together more than 550 people. It means that each elector is accompanied in prayer by at least two people. At it is often the case in spiritual matters, the unexpected occurs. In one of the Portuguese Jesuit Professional Schools each class decided to “adopt” a member of the Congregation. Now, in each classroom there is a photo of one of the Jesuits present at GC36 and his biography. Each morning, before the beginning of class, all the students and their teachers pray for him. The joy and the commitment with which this initiative has been welcomed is a beautiful expression of how people experience their belonging to a common mission. If you wanna pray with the Congregation within the Portuguese initiative, write them in their Facebook Page. If you know of any other similar experience of “union of souls” with the Congregation, and want to share it with us, please comment on this article or write to us at [email protected].